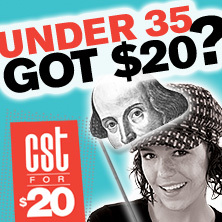 JEFF DIEBOLD CHICAGO SHAKESPEARE: Short Shakespeare! The Comedy of Errors, Hamlet, The Three Musketeers, Kabuki Lady Macbeth. CHICAGO: My Fair Lady (Lyric Opera of Chicago); Mamma Mia! (Paramount Theatre); The Addams Family (Mercury Theater Chicago); Hello Dolly!, The Sound of Music (Drury Lane Theatre); Man of La Mancha, Guys and Dolls (Court Theatre). TOUR: Mamma Mia! (Broadway North American Tour). REGIONAL: Beef and Boards Dinner Theatre, Montana Shakespeare in the Parks. TELEVISION: Chicago Med (NBC), Chicago Fire (NBC). EDUCATION: BS in education, Buffalo State College; MFA in acting, Roosevelt University.